Helen likes Halloween as much as I do. She's been dressing up for the scariest time of year with her rhinestone skull tutu. My dog, Helen, can perform tasks 1 through 4. Someday, oh maybe someday, she'll get the others mastered. http://treatingforall.com/ How can pet parents show they are celebrate Halloween with their pup? Download special pup decorations to show your neighbors you're celebrating with your dog at treatingforall.com. 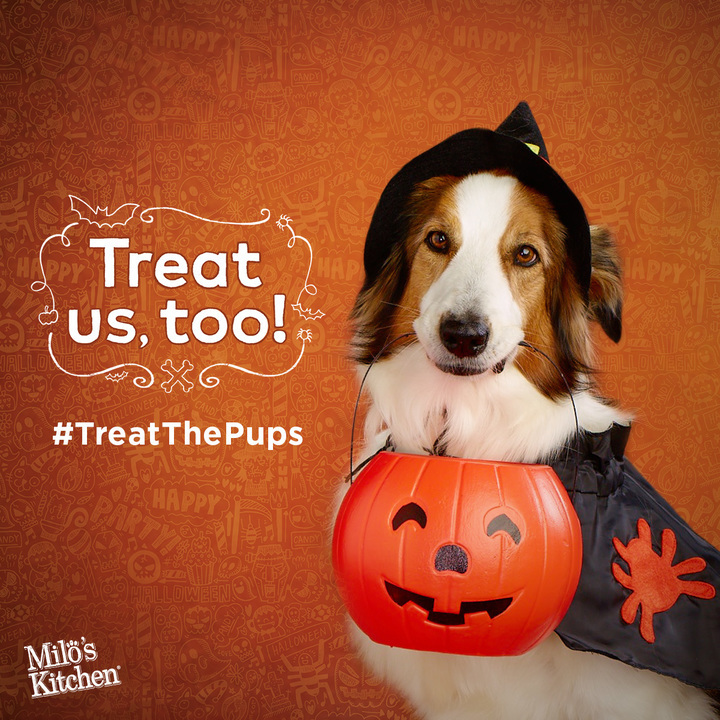 Also, for a chance to see your dog's Halloween photo in the Milk-Bone Halloween website and social channels, tag it on FB, Instagram or Twitter with #TreatsForAll. Will your dog be dressing in costume for Halloween? What kind of treats does your pet like? I love how creative dog costumes are! Id love it if my daughter would dress up her 3 dogs.